This statistic shows a breakdown of the estimated outturn for the United Kingdom's (UK) net contributions to the European Union budget in 2017. The UK rebate and public sector receipts were both credited to the UK, adding up to approximately 9.7 billion British pounds. 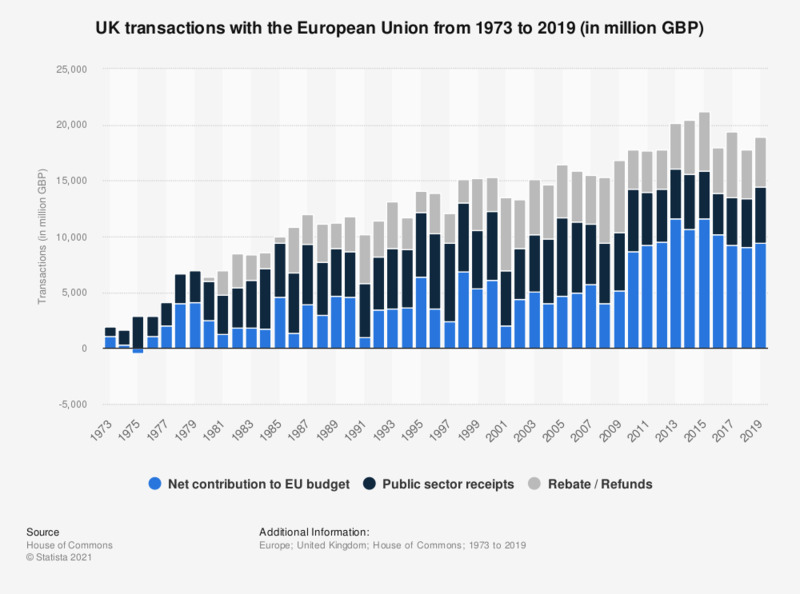 The UK's gross payments to the EU budget on the other hand, cancel these receipts out to make the final net contributions figure. * Estimates. Sum of gross payments, UK rebate and public sector receipts do not exactly equal the Net contributions figure. This is due to the effects of rounding.